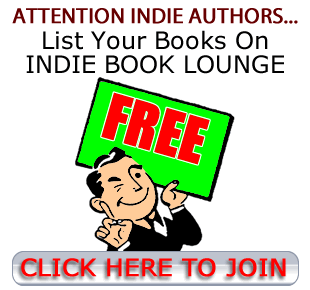 Please LOG IN and return to this page to select which one of your books you want to advertise. By sponsoring a genre, your book will always appear FIRST in the genre samples (home) page for the genre you selected to advertise in. Days selected do NOT have to be consecutive. You select the exact day(s) you want your ad to appear. You can select weekends, weekdays, or any combination! Not only will your book be featured on the website, we will also post a link to your book on our Facebook page, Instagram account, and tweet to our followers. 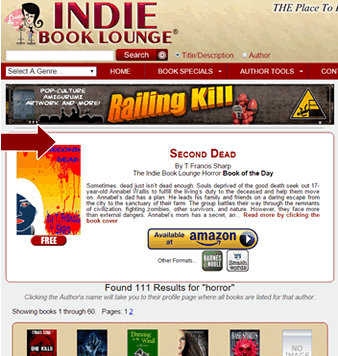 Your book will be prominently displayed on the main front page of Indie Book Lounge at the top of the left panel. Books of the Day are listed BEFORE the newest book entries and are listed in genre order. 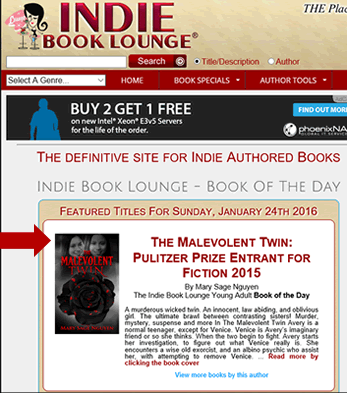 A generous book description is also displayed, along with all of your purchase links. A large image of your book's cover is designed to be eye-catching and get visitor's attention. Everything a potential buyer needs to see in order to view your book, read a description, and go to the purchase site in a single click is presented in a crisp, clean, and prominent display. When visitors select your book's genre from the dropdown menu at left, or go to the genre page directly, your book will be prominently featured in a bordered banner ad at the top of the search results listing. For some genres, there are several pages of books listed. These pages are generated randomly throughout the day, but regardless of the random generator, your book is always featured at the top for that genre! NOTE: The bordered banner ad will show a link to your Amazon purhase page and all of your other purchase link options. If the reader clicks on the book images, it takes readers to your profile page where all books, including the one featured, are listed. This allows them to see not only the book they clicked on, but all other books you offer.